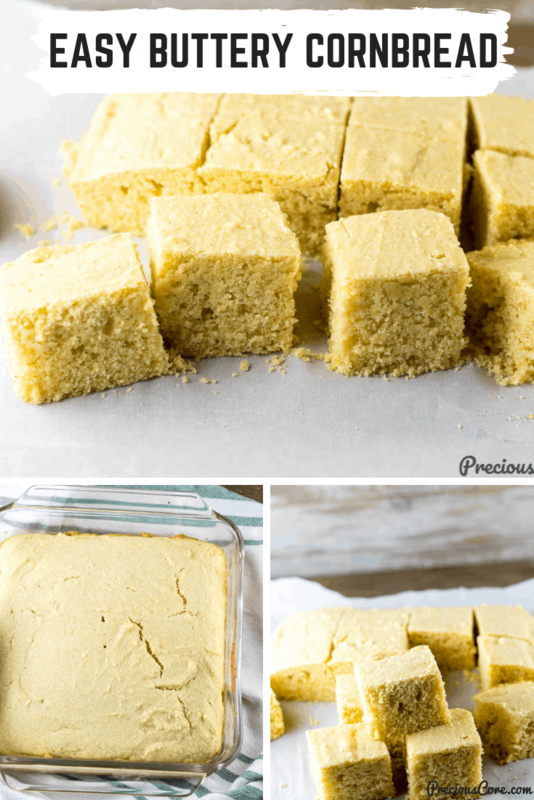 This Easy Cornbread Recipe is the one and only cornbread recipe you will ever need! 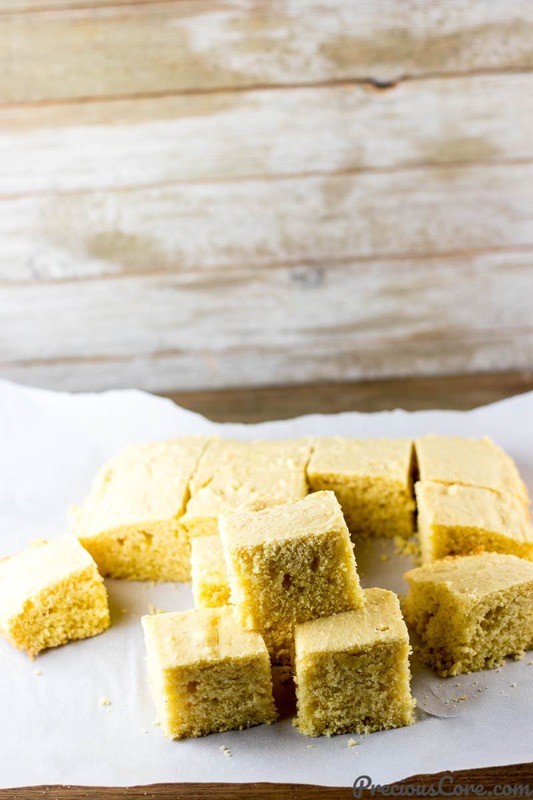 The cornbread is moist, buttery, crispy around the edges and just a delight to enjoy. I love corn in every form. My love for corn is right up there with my love for plantains and coconut. That’s why Koki Corn, which is like some savory form of cornbread never lasts in my house. I have huge plans for making cornbread and freezing for the future but my plans never come to fruition. Because once there is cornbread at home, I don’t rest until it is all gone! I just can’t resist that flavor of corn in a baked good! 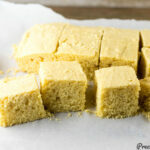 Cornbread with oil: I tried cornbread with oil and it was less than satisfactory for me. It was missing the flavor and richness that butter brings to baked goods. Cornbread with melted butter: I tried cornbread with melted butter too and I didn’t like it. Maybe I used more butter than needed because it was greasy and had an off taste. 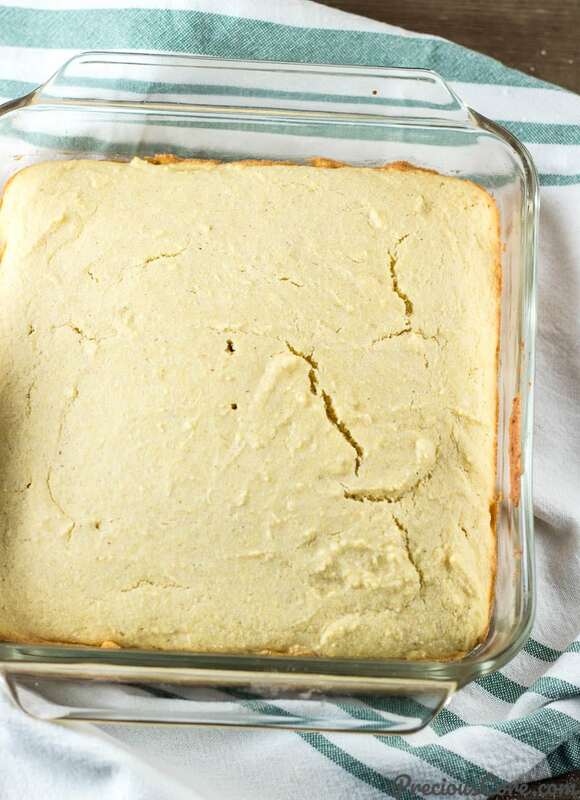 Cornbread with softened butter: This is the best way to go in my opinion. Soften the butter at room temperature then cream the butter together with the sugar before adding the other ingredients. The butter melts further into the cornbread as it bakes and yields the best buttery flavor. What Goes Good With Cornbread? With tea! Seriously cornbread goes so good with a cup of tea. Our favorite way to enjoy cornbread is warm with some butter on top and some honey drizzled on top. So good! 1. In a bowl, cream together softened butter and sugar until well combined. 2. Add an egg and milk then whisk together. 3. Add flour, cornmeal, baking powder and salt then mix until just combined. 4. Pour batter into greased pan and level the top. 4. Bake until a toothpick inserted in the middle of the cornbread comes out clean. Four steps and you have the perfect easy cornbread! Cornbread is not rocket science. 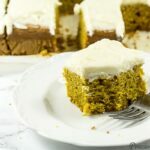 It is seriously one of the easiest things you will ever bake! 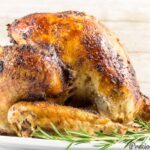 And yes, this should be on your Thanksgiving table! Hope you enjoy this Easy Cornbread Recipe. Check out my cornbread recipe video below. 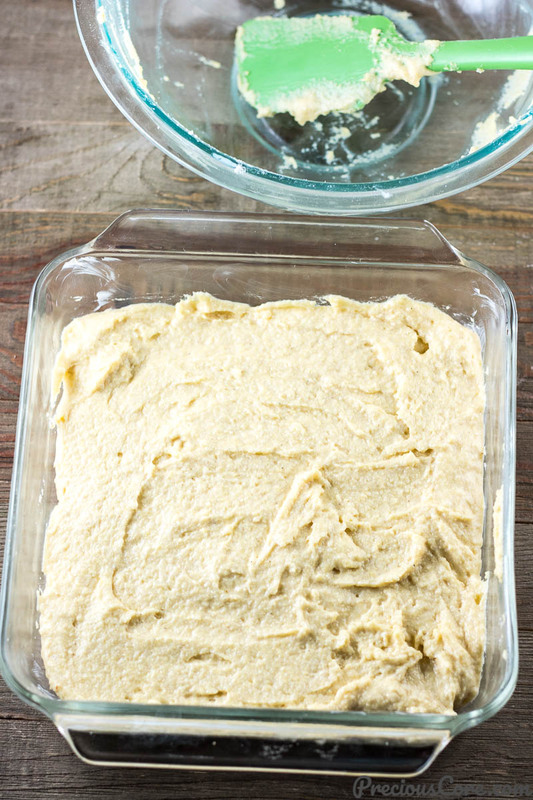 Super easy cornbread recipe that happens in one bowl! The cornbread is moist, buttery, not-too-sweet with sufficient corn flavor. 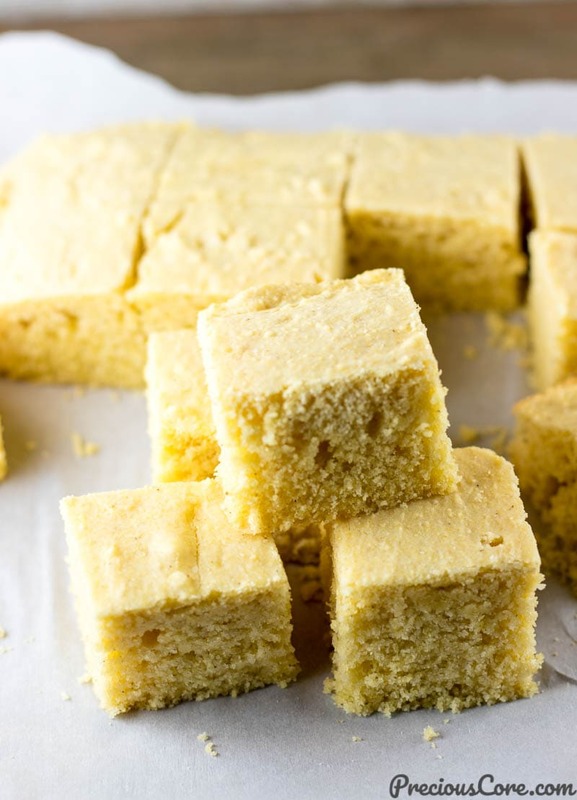 This is the cornbread recipe you'll want to make over and over again! Rub butter on an 8 by 8 inch baking pan. 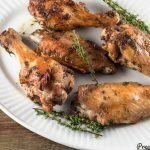 Preheat oven to 350 degrees F (180 degrees C). In a bowl, mix together the sugar and butter until fluffy. Add the egg and milk then whisk together until just combined. Add the cornmeal, flour, baking powder, and salt then fold in together with a spatula until just combined and no flour can be seen. Pour the batter into prepared pan then use the spatula to level on top. Place in preheated oven to bake for 25-30 minutes until a toothpick inserted in the middle comes out clean. I would like to try this corn bread. 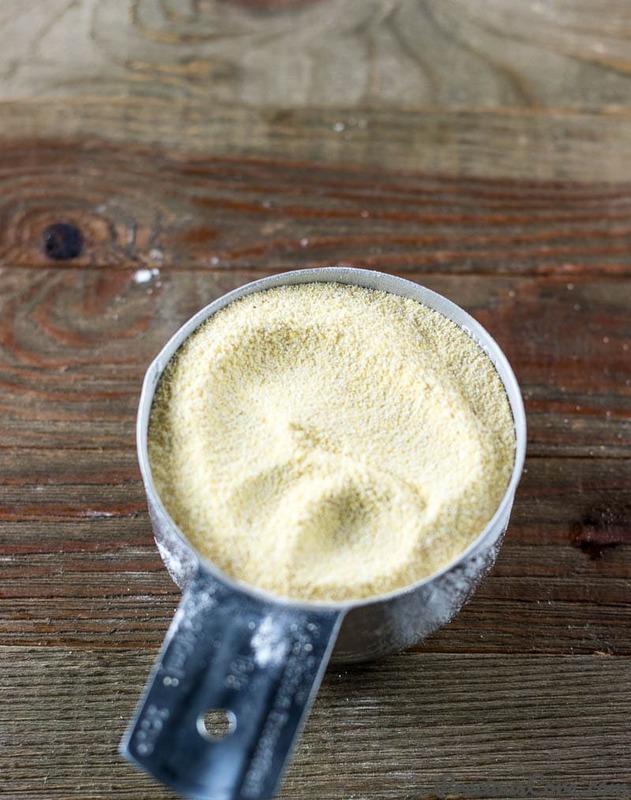 Can I make the corn meal by just blending white corn to flour and then using it for the cornbread? Hi Olayinka, yes you could definitely do that. 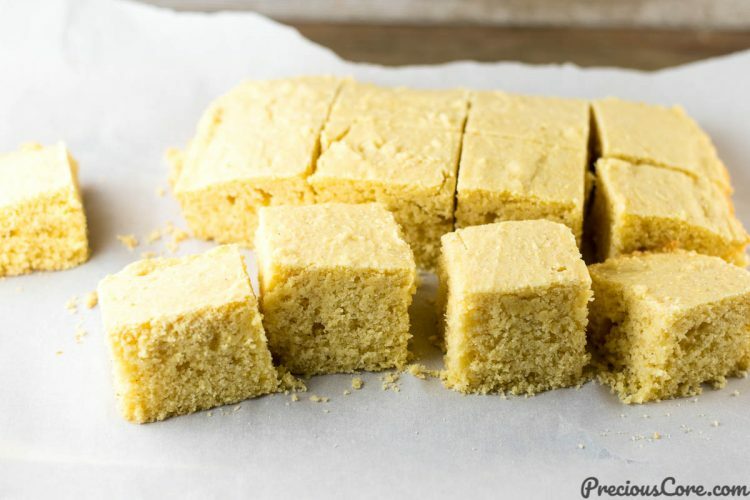 Hello Precious thanks for this recipe.I would like to try it, how do I make or get cornmeal?pls do let me know how its made. Hi May, cornmeal is ground corn. Depending on where you live, you could purchase already ground corn or you could grind corn to make yours. Hope this helps. I have not tried your cornbread recipe yet, but I’m sure I will. I do believe it will have a buttery rich and slightly sweet flavor. My maternal grandfather was born and raised in the Show Me State and later moved to Wisconsin to own a smaller dairy farm. He tired of growing fields of rocks in Missouri. He would often make the cornbread while my grandmother prepared the rest of our dinner (supper as we called it.) The next day my grandfather would break up a piece of the cornbread into a glass. Then he’d fill the glass with ice cold whole milk we saved from our milking herd. That IS whole milk. He would let the cornbread and milk sit for a minute or two for the cornbread to absorb milk. Then eat the mixture out of the cup with a spoon. Not quite a dessert, but very good and refreshing. That’s a great way to eat cornbread! Thanks for sharing, Dennis. Will love to try out this recipe but i don’t know what kind of milk to use. i am in Cameroon. 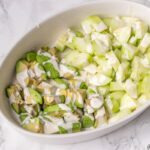 can i use powder milk or evaporated milk such as peak milk will be good? Hi Elsie, evaporated milk (Peak milk) will be perfect. You need liquid milk for this recipe. Hope this helps.